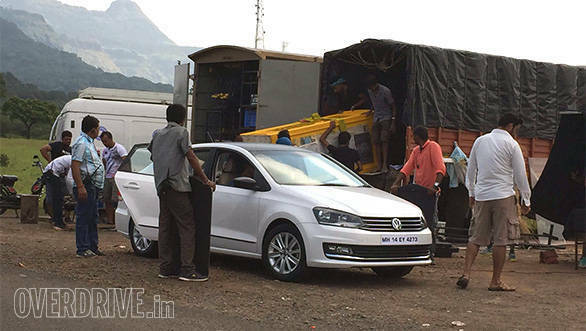 Volkswagen India has now launched a new trim of the Vento. The Volkswagen Vento Highline Plus is priced at Rs 9.7 lakh, ex-Mumbai and is available in both petrol and diesel variants. The new Volkswagen Vento Highline Plus gets a black roof, black ORVMs with carbon fibre wrap and a black side moulding. Other new features include scuff plates, beige floor mats with the VW branding, a touchscreen Blaupunkt music system, carbon fibre finish for the central console and detachable rear window blinds. There are no mechanical changes to the Vento Highline Plus and it retains its 105PS 1.6-litre petrol and 105PS 1.5-litre diesel motors which deliver a claimed fuel efficiency of 16.09kmpl and 20.64kmpl, respectively. Note that the Highline trim is available only with the manual variants. The DSG-equipped cars don't get these additions.